‘New Single’ is where a band or artist answers a couple of quick questions about their latest Single release. 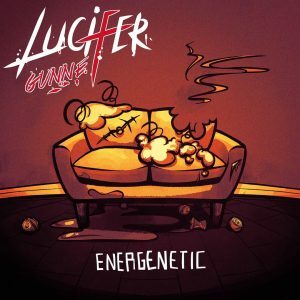 Up next is Lucifer Gunne, who have just dropped the lead single from their upcoming album. ‘Energenetic’ is an aggressive new track from this band of talented newcomers. It pulls in elements from various other genres but doesn’t sound manufactured at all. Punchy layers of guitars play off the punk styled vocals, which still manage to retain that essential ‘catchy-ness’ that makes you hit repeat. Definitely a band to watch, and we are looking forward to what the new album brings. What the song is about lyrically? To be honest, we don’t even know. 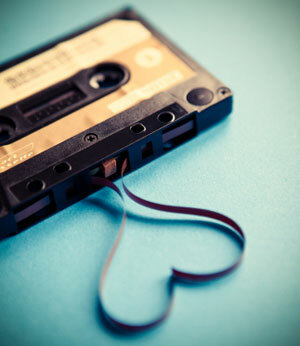 It’s a mix of teenage love, pencil sharpeners and an anger aimed at synthetic weed smokers. As for the name, ‘Energenetic’, it just sounds cool. Who produced/recorded it? Did the track come together in the studio, or at home? This track was recorded, mixed and mastered at Elysian Studios. This was our 1st studio recording since HRM, and we felt much more prepared this time around. Were there any gear or effects that you used in the mix to get the sound you were after? There wasn’t anything in particular that we used. It was mainly the wonderful producers over at Elysian Studios that know for sure. A magician never reveals their tricks. However, Don got to use an egg shaker and a tambourine. He thinks it’s pretty essential to how ‘Energenetic’ ended up sounding. Is this a stand-alone track or part of an upcoming album or EP? We are working towards a full-length album. It is uncertain when this will be released, however, we do know that ‘Energenetic’ will be the first single from it. How did the video shoot come together? We had lots of fun recording this video. We thought it went really well, but you’ll have to decide if it came together for yourself 😉 go check it out!